New Jersey Events, Coupons, Reviews! Disclosure: I was sent a sample from the vendor in order to write up an honest review. All views shared are mine and mine alone. GrandBox is the original monthly subscription box customized and curated specifically for seniors 65 and up. It's the perfect gift to bring a smile to the older loved ones in your life. The other day I got a call from my mom. She wanted to thank me for the GrandBox she received. Again, she said, "You didn't have to," before going into how much she loved this box and the goodies inside. She especially loved the photos that were included of the girls. She was quick to take these out of the box and put on the fridge so that her and my Dad could sneak a peek at their granddaughters every time they went into the kitchen or opened the fridge doors. Having never seen a GrandBox up close, I asked my Mom to describe what was inside. I wish you could have heard her excitement as she described all the things in the box. Yes, she even got excited about the pack of tissues, which she said would replace the ones she just went through in her purse, thanks to the cold she has been trying to get rid of the past couple of weeks. I can't wait to hear my mom describer her January GrandBox and all the goodies she gets. 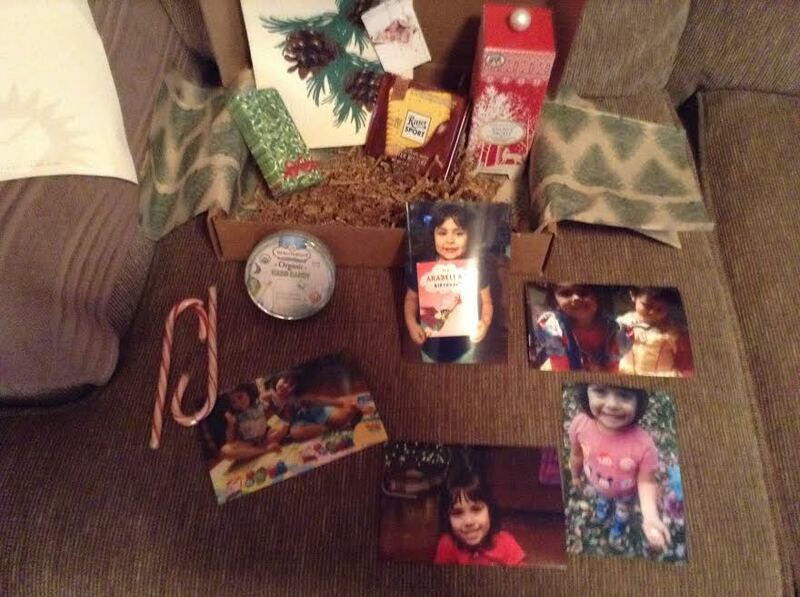 Now, to decide what photos of the girls to send and have included in the box. GrandBox, the subscription box for the ones who cared about you. If you are still searching for the best gift to the give the grandparents that they will love and actually use, why not consider sending them a GrandBox. This is definitely one unique monthly subscription box that is perfect for grandparents and would make for a great gift this holiday season. To learn more about GrandBox or to order a box to send to the grandparents this Christmas, visit http://www.mygrandbox.com/. (Not to be used with any other discounts). Act fast as this special offer expires on Jan. 1st, 2017.